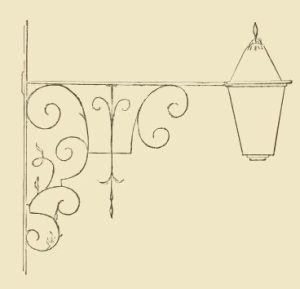 Vintage sketch of a lantern with an ornate bracket. With a few delicate leaves and fine lines, the artist wanted to show his drawing students how it’s little details that can make a drawing more interesting. This vintage lighting image is obviously more sketch than formal drawing but you could easily use this drawing as part of a larger work.